Llandry Sanfaer and her loyal companion, Sigwide. This piece of magnificence was created by the extremely talented Elsa Kroese, a freelance fantasy artist hailing from a certain windmill-strewn, cheese-loving European country I’m becoming quite familiar with lately. If you have a few minutes to spare, do have a look at some more of her work. She has a website and a deviantArt profile. Enjoy the beauties. And if you saunter back this way tomorrow, you should arrive just in time for Chapter Two – served with tea. That is utterly, utterly gorgeous!!! 😀 How very exciting!!! That is magnificent, Charlotte! I may have to contact this talent myself for my own covers! BRILLIANT! 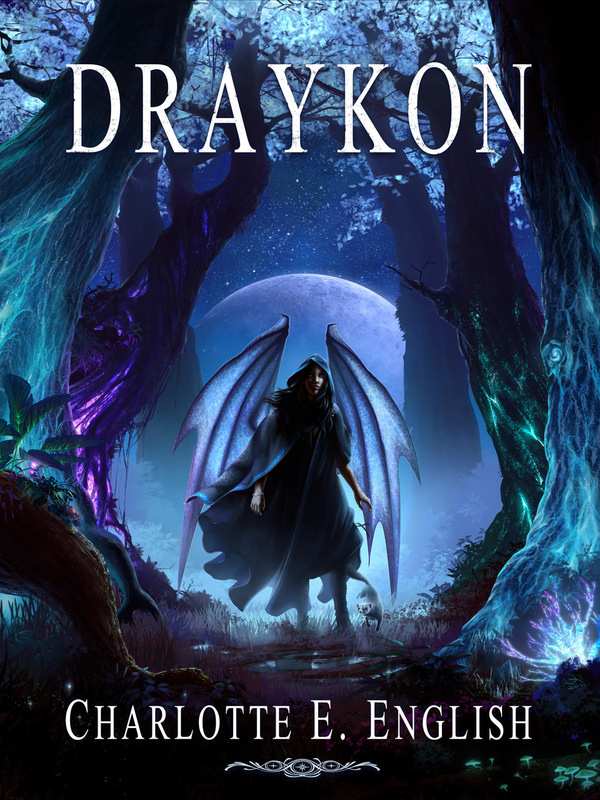 The cover for Draykon is superb, and exciting too. Well done Charlie I look forward to chapter 2. Now this what they call a professional cover. It has so much depth, I could spend hours just analysing each piece. Definitely a cover that I would judge…I think you have your first purchase! Btw I have deliberately not read your spoilers, and seeing your cover I am glad I didn’t. Can’t wait to read it in full, preferably in one sitting. Ellie, interesting that you prefer not to read the sample chapters. That word ‘professional’ is so important in this business and I’m so thrilled beyond all reason at how amazing the cover looks. The detail is definitely mesmerising, I’ve spent a lot of time perusing all the little features myself. I hope you enjoy the book, if you do give it a try! LOVE the art! And loving Draykon so far… I can’t wait to order it and explore the world you’ve created all while trekking through Europe 😀 Amazing to see how far you’ve come since a few months back … I am inspired by and super excited for you! Andy, do you realise you’ve been visiting me on this blog since before I started writing the book? Who knew then that I’d get this far? Thanks for being a loyal blog buddy and I really hope you continue to enjoy Draykon. And while I’m at it best of luck with your adventure starting in just a few weeks! I hope you’ll be blogging about it from time to time, I’d love to hear about your escapades in London. That cover art is made of awesome. And is Sigwide a ferret? OMG, that’s even awesomer! I’m so excited for you!!! I love the cover. It’s exactly as it should be…perfect! You are currently reading Cover Art for Draykon at Words About Words.